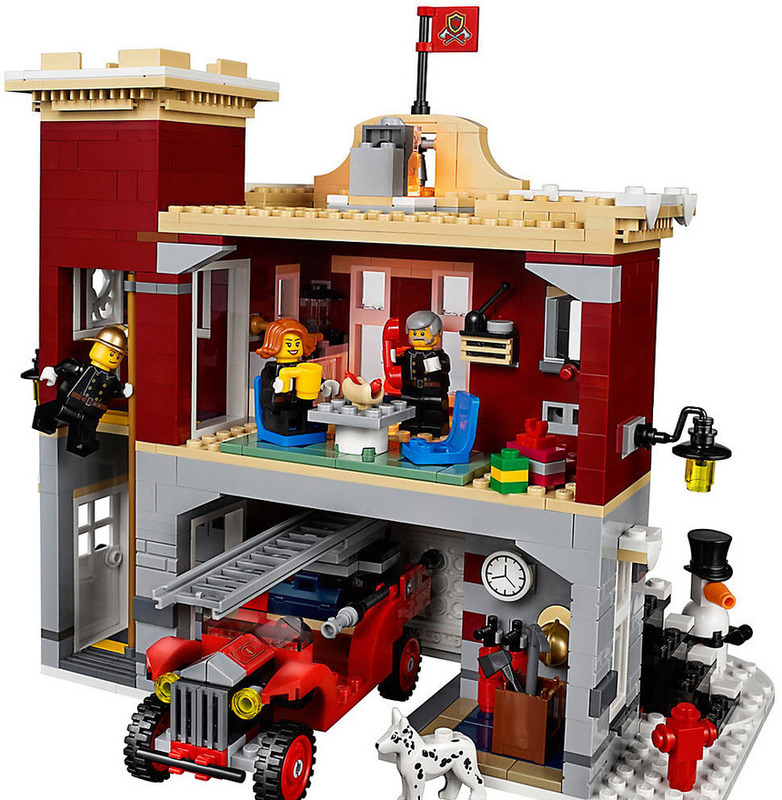 We get a lot of questions about how to light the various Winter Village sets LEGO has released over the years. We're in the process of building them all, and will post updates in this thread with recommendations, tips, and tricks. Stay tuned! Any update on this topic? Will there be any updates ahead of this winter season? Mattias M That's our goal for sure! Things are very hectic around the shop but this is a priority for us to finalize this year. Looking forward to hearing more about this as well, particularly for the train set. Replace the light-up brick with a flickering orange behind the teeny little bell on the roof, and put the other flickering of a paired LEC into the oven/kitchen. A light strip in the apparatus bay and/or in the kitchen, and perhaps a single Pico in the hose drying tower. ...and use those nifty holiday-themed 4-pack lights to spice up the outside, replacing the current lamp post. All good ideas! Actually we *are* working on a kit for this one-- we've been planning to do kits for all of the winter village sets for some time, so we're starting with the most recent. We're in heavy development now-- there are a few minor technical manufacturing variables I need to validate (wow, that was wordy!) related to what we might be able to do for the Christmas tree with the set-- once I know the answer to that, I'll be able to post more details about the kit we plan to make. Jason R Toy Hi Jason, thanks for your post. The PFx brick is a fantastic product! As you know it has eight outputs, and if you use their microLAB adapter (https://www.fxbricks.com/store/index.php?product/page/3187/microLAB), you can use our standard connecting cables and adapters to connect your lights. Just keep in mind that the PFx Brick can only supply 100mA per output port (see https://fxbricks.com/pfxbrick/specifications/), so that's about 5-10 LEDs per output port. Please let us know what you set up- it would be really cool to see a PFx Brick-controlled setup! Rob Klingberg I actually have the https://www.fxbricks.com/store/index.php?product/page/3185/picoLABduo , same rule apply per channel? Lighting everything using PFx brick may be Overkill, but for merry go round and a few other things it will be worthwhile. I just purchased the instructions for the holiday train lighting on PFx, have some of your pico LEDs I'll be using to recreate it. I'll get a video up when I can find some time. Jason R Toy Hi, that board won't work. You'll need to get the Micro LAB board that has the larger connectors. 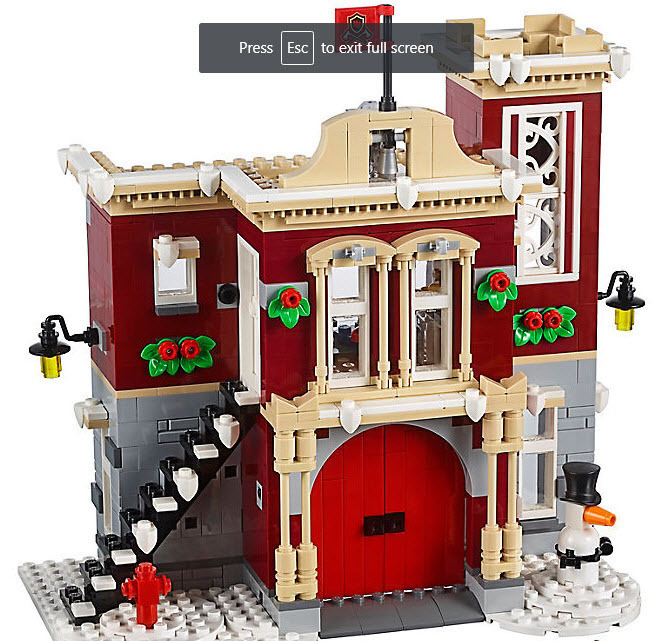 It's on our list for 2019 to have lighting kits for the Winter Village sets. When you say Halloween Village, what do you have there? Would love to see a video of the holiday train lit up! Jason R Toy Is the PFx Brick that good? I have been looking at it, but haven't decided on to get or not. Rick rivera I have 3, works great for all trains, helicarrier, wall-e, I even motorized my santas (https://jkbrickworks.com/building-santas-sleigh-and-reindeer/) and merry go round (https://youtu.be/vfvhUigQ0rw but I matched the roof ) and now have lights, sounds and motor functions all using standard lego PF remotes and motors. The apps for mac and iphone have been great too. Jason R Toy Awesome! Thank you, I wanted to get one for the '67 Mustang, but just went with the regular speaker. I'm going to get the Lego Holiday Train and was going to use it for that and have sounds and music on it. Rick rivera I think you'll be happy. You can do some pretty advanced stuff, like sounds speed relative to motor, i.e. steam sounds speed up as motor does.